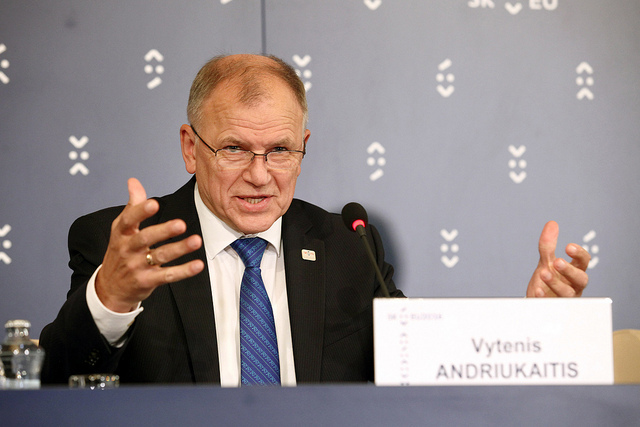 Vytenis Andriukaitis is EU Commissioner for Health and Food Safety. You recently warned that “the clock was ticking on an oncological time bomb”. What has the Commission already done to address the situation and what is next? The EU has been fighting cancer for 32 years, taking a multifaceted approach which covers prevention, screening, research and more. Actions taken at EU-level have helped to extend and save lives, but more needs to be done. As at least one in three cancers is preventable, our first line of attack is to address the risk factors. 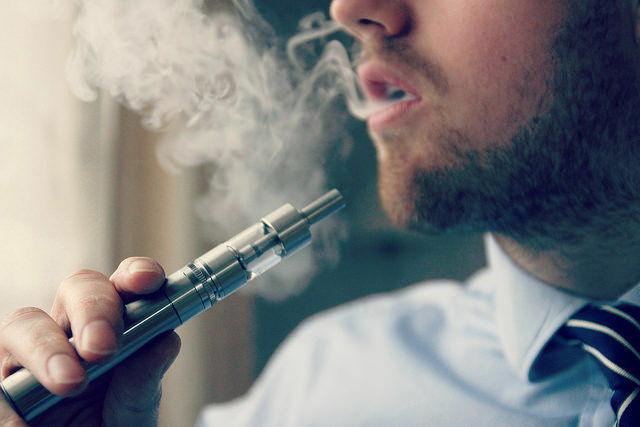 This is achieved not only through EU legislation on, for example, pesticides, air quality, tobacco products and exposure to carcinogens at work, but also through platforms and projects to address alcohol consumption, unhealthy diets, and obesity. The Commission has also produced guidelines for quality screening of breast, cervical and colon cancer, provided nearly €1 billion for collaborative research and supported member state efforts to improve diagnosis and treatment, among many other actions. For a full overview, I invite you to see our latest info on EU action on cancer. 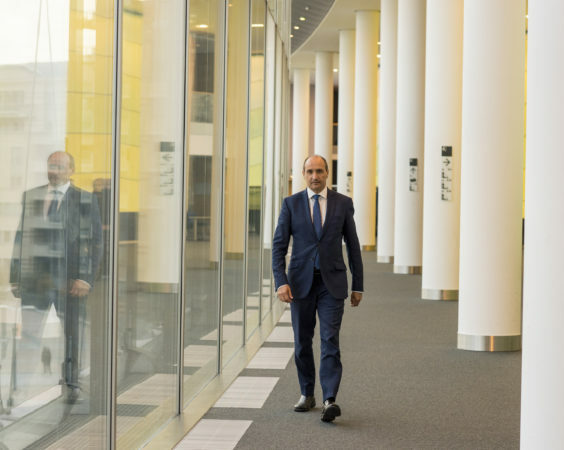 However, rare forms of cancer such as sarcomas, present a particular challenge in terms of ensuring all patients have access to the best expertise available in the EU. Therefore, going forward, my priority will be to ensure European Reference Networks (ERNS) for rare and complex diseases are a success. They will be in operation in March 2017. It is particularly important that we leave no one behind in our efforts to help cancer patients get the best possible screening and care. People with lower income or lower education do not have the means or the knowledge to lead a healthy life or go to the doctor for screening, and end up in a hospital when their cancer is already at an advanced stage. To address cancer we, therefore, need national health systems that reach out to the poorest and address social inequalities and social determinants in cancer prevention, access to screening and care. We need pro-active and wide-ranging onco-policies with a greater focus on prevention, prophylaxis and long-term patient monitoring policies; as well as greater use of prevention in primary care. I am ready to support member states in such efforts. How could EU policymakers and the member states address rare cancer cases considering the lack of pharmaceutical sector interest in developing new orphan drugs for such a small number of patients? Patients suffering from rare diseases and conditions should be entitled to the same quality of treatment as patients affected by other diseases, which is why in the year 2000, the EU passed specific legislation to incentivise the development of orphan drugs. This instrument has helped to stimulate interest and has led to developments including for some rare cancers. We have to be realistic, however. There are several thousand rare diseases, and even the best policy instrument cannot ensure simultaneous progress in all therapeutic areas. But we also have every reason to be optimistic. 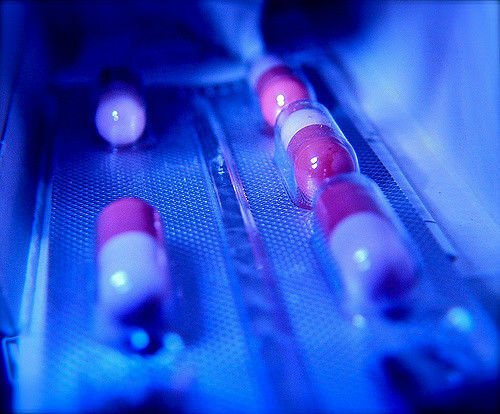 Many new cancer drugs may work not only for one type of cancer but for several. Even if a drug is initially developed just for one sub-type, the product could potentially, over time, be developed for use in other rare cancers, such as sarcoma. What could be the practical added value of the European Reference Networks for patients suffering from rare cancers? There are some rare, genetic forms of cancer which are extremely difficult to diagnose and treat, and sadly, many of them affect children. Such rare forms of cancer represent a particular challenge as specialist knowledge is often frustratingly scarce, and patients and parents are sometimes left to scour the internet to find doctors and centres with the required expertise. No country alone has the knowledge and capacity to treat all forms of rare cancer, but by cooperating and exchanging life-saving knowledge at European level through European Reference Networks (ERNs), patients across the EU will have access to the best expertise available. For example, the recently approved ERN on rare and low prevalence and complex Cancer in Adults (ERN-EUROCAN) will give healthcare providers access to a much larger pool of expertise and knowledge, increasing the chances of patients suffering from such conditions and diseases to receive the best advice to treat and diagnose their condition. Considering the complexity of different rare cancers types, accessibility and affordability of medicines are tough challenges for patients. A particular drug can be found in one member state while in another one it does not exist at all. Does this go against the spirit of the EU internal market? Products that are authorised under the orphan medicines regulation receive a marketing authorisation [by the Commission], which is automatically valid in all member states. Hence, the marketing authorisation is not the key issue. Accessibility and availability are rather linked to other issues, such as costs, pricing, and reimbursement and the speed of market introduction. But don’t get me wrong. 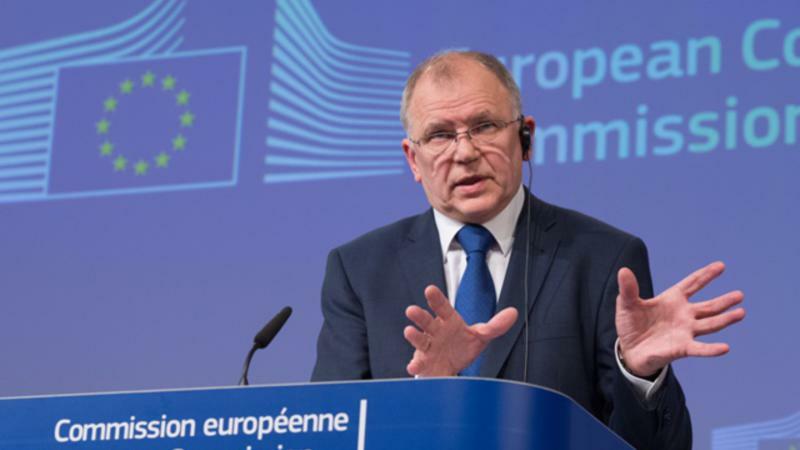 Accessibility and affordability are ones of the main concerns of the EU, which is also demonstrated by the recent Council conclusions on the topic. We are in a continuous dialogue with member states, the European Medicines Agency, national competent authorities, and industry in order to see how we can support accessibility and affordability. There is no magic solution. A constant effort is required to improve the situation and to ensure that patients have early access to promising new therapies. To improve access for patients to truly innovative therapies, I am convinced that the pan-EU cooperation on health technology Assessment (HTA) we are working on will bring real added value to all countries, through the pooling of resources, exchange of expertise, and the avoidance of duplication in the assessments of the same product or intervention in different member states. Multiple assessments represent delays for patient access to innovative treatments. What is the role of patient organisations in tackling rare diseases? Do you believe they have been sufficiently enhanced during the last few years? Empowering patients’ organisations is a cornerstone of the EU rare diseases policy and one of the seven priorities of the 2009 Council recommendation on an action in the field of rare diseases. Patients’ organisations are very important, active and constructive members of all relevant groups and committees dealing with issues related to rare diseases policy. A few examples, amongst others, are the Commission expert group on rare diseases and several EMA committees (Committee for Orphan Drugs, Paediatric Drugs Committee). The Commission also supports rare diseases patients’ organisations through operating grants from the EU Health Programme. Sarcoma is rare cancer and one of its main challenges is the lack of training in identifying the symptoms. This results in a poor or even wrong diagnosis. What could be a European policy response to the training issue? Adequate medical training is essential for exploiting knowledge and expertise on rare cancers and improving patient outcomes. 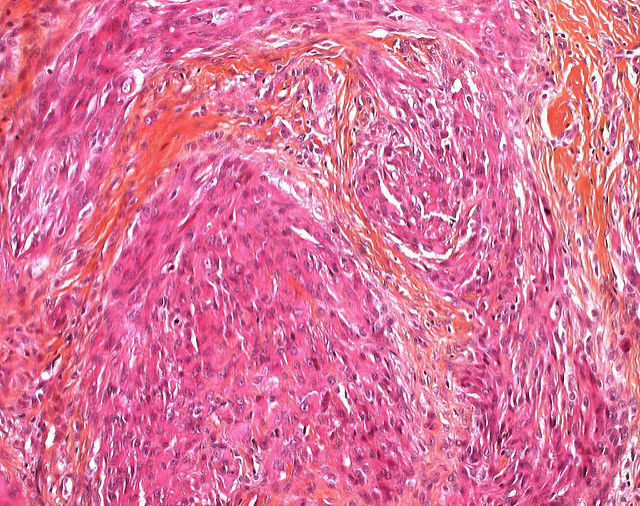 It is well known that rare cancers such as sarcoma present special challenges exactly because finding clinical expertise in the community is difficult. ERNs have the specific objective to exchange, gather and disseminate knowledge, evidence, and expertise within and outside the Networks, and can, therefore, bring about big improvements in this area. It is clear that medical education should be dealt with differently for common cancers and rare ones. With the more frequent cancers, transfer of knowledge is automatically reinforced in the everyday practice of healthcare professionals. This is not the case for rare cancers, however, except in reference centres. The Joint Action on Rare Cancers (JARC) launched by the European Commission in 2016 also aims to address the issue of training. It includes a specific Work Package on Medical Education which aims at mapping existing educational resources on rare cancers and at identifying optimal ways to promote medical education in the context of ERNs. Are you concerned about the growing migration of doctors from poorer to wealthier EU member states? Is this another obstacle to a common approach toward rare diseases? Free movement in the European labour market offers valuable job and training opportunities for health professionals to develop their expertise, also in the area of rare diseases. While there are no easy solutions to the high outflows of doctors from some member states, the EU can support the transfer of good practices and knowledge across borders to improve access to healthcare. ERNs are a good tool to transfer knowledge between member states. This can be done through education and training partnerships and exchanges of medical specialists between ERNs, for example. Do e-health solutions have a place in tackling rare diseases considering the heterogeneity of most cases? The current trends in eHealth and ICT solutions in Europe are to move towards interoperable solutions that enable patient data sharing, state-of-the-art data protection and common clinical platforms and tools, involving the most advanced ICT tools and services. Most of the tools developed under the general concept of eHealth would be of key relevance for the structure of ERNs, and would assist them in their work to better diagnose and treat patients with rare cancers and other rare diseases. In fact, the implementation of ERNs is one of the most important and innovative pan-EU initiatives for cooperation in eHealth, and ensuring that this cooperation reaches its full potential is one of my key priorities for 2017. These ERNs will be supported by telemedicine tools, and we will ensure that ERNs receive support via a range of EU funding mechanisms such as the EU Health Programme, the Connecting Europe Facility and the EU research programme Horizon 2020.